Dr. Jennifer West: Supernova remnants and how they are connected to our galaxy. Jennifer is a Postdoctoral Fellow of the David Dunlap Institute. She uses large radio surveys and radio polarimetry to study magnetic fields in supernova remnants and in the Milky Way Galaxy. 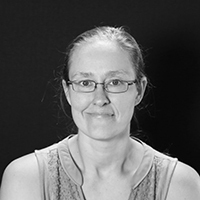 She is working with Prof. Bryan Gaensler – who gave us a talk last year – to analyze data from the upcoming POSSUM (Polarisation Sky Survey of the Universe’s Magnetism) survey using the Australian Square Kilometre Array Pathfinder (ASKAP).